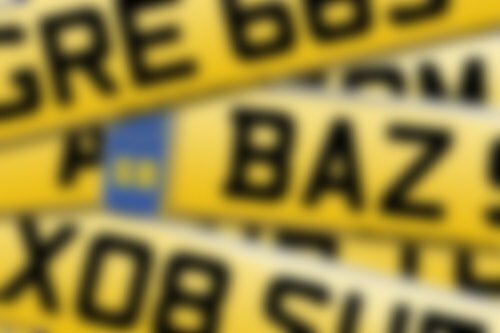 Whilst some number plates carry premium prices, it's still possible to personalise your vehicle without breaking the bank. Below are a number of ways to secure a low cost number plate. When searching the National Numbers website, you can refine the results to only return registrations within a certain price bracket. Click the 'Filter' button and adjust the 'Price To' value to cap the results at your maximum budget. 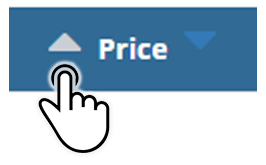 Click the 'Refine' button and adjust the 'Price To' value to cap the results at your maximum budget. You'll only be shown number plates that match your search and are less than the price you've set. Pro Tip: To exclude any registrations with a 'Call For Price' message, set a 'Price From' value at £1. Only registrations with a price assigned to them will then be shown. You can also order your results so that the registrations with the lowest prices appear at the top of the results. Simply click the 'Price' header arrow to re-arrange the number plates. Northern Ireland has it's own distinct number plate registrations, but these are all handled by DVLA Swansea just like the rest of the UK. This means it's perfectly possible to transfer these registrations onto vehicles registered in England, Scotland and Wales. The registrations have more than a passing similarity with 'true' dateless plates - they show no year identifier so there's no easy way to determine the age of the vehicle they're on, and, being dateless, they can be assigned to vehicles of any age. What they don't share is the high price tag often associated with dateless registrations. In fact, Northern Irish reg are amongst some of the cheapest number plates you can buy. Starting from around £136, they come in the format of 3 letters, plus 1, 2, 3 or 4 numbers. The one giveaway is that their letter combinations always contain the character 'I' or 'Z'. Even with that caveat there are some excellent letter combinations available - GAZ, BAZ, DEZ, WIL and HAZ are just some of the more popular; and with four digits you can match a significant date or number - 2265, for example, could indicate a birthday of 2nd Feb 1965. It's also sometimes possible to get a sequential run of numbers which is great if you have a fleet of vehicles and you want to customise them all. There are a huge number of cheap prefix registrations available for under £300. Just choose a prefix year letter, 1, 2 or 3 numbers followed by three further letters (not including I, Q or Z), and you can craft a huge number of combinations. If you have a middle name then these registrations are especially great for personalising a plate to match your initials. If you don't have a middle name then there are a number of ways to fill the three letter requirement and secure yourself a low cost registration. You could perhaps consider using the letter X as a placeholder at the end of the reg, so for someone with the initials TS, a TSX plate might be a possibility. Or perhaps if you find a registration with a number that is a multiple of 10, adding a leading letter O could be a solution, +200 OTS giving the appearance of +2000 TS on the vehicle. Unlike the cheap NI plates, the leading year identifying letter on these number plates means they have a restriction to the age of the vehicle they can go onto. The golden rule is always 'You can make your vehicle look older, but not one day newer'. You can refine any search on our website to only show registrations that are suitable for the age of the vehicle you want to put the number plate on. If you're not ready to assign your purchase to a vehicle just yet, or if you're buying the number plate as a gift, they can be purchased and held on a certificate of entitlement. Then, after being gifted or when you're ready to put the reg onto a vehicle, it's a simple matter of the owner using their V5C log book details and the certificate to get the plate assigned to their vehicle via the DVLA. Although dateless registrations are usually amongst the more expensive end of the market, it's still possible to pick up the occasional bargain. If you're not so interested in the letters on the reg, and perhaps it's only the numbers that may hold significance to you, or maybe you simply want to 'cover' the age of your vehicle but don't want a Northern Irish reg, then a cheap dateless plate might suit. Sometimes dateless registrations come to market which, possibly, still qualify as cheap number plates. These are pre-1962 marks - so have no year identifier, and as such can be assigned to any age of vehicle - but which will have the sort of letter combinations that have little chance of matching anyone's initials. As a rule of thumb, the more uncommon the letter combination, the cheaper the plate. National Numbers have been in the business for more than 38 years, and has highly trained staff - you will receive the same 'Rolls Royce' service from us regardless of your budget - customer satisfaction is our watchword.